Whatever the bug was that the Verizon testing team found for the original Incredible and its Gingerbread update was significant enough that they decided to pull it. That bug though, must have already been fixed as the support documents for 2.3 are back and showing build 4.06.605.3 rather than .2. We received an anonymous tip this morning suggesting that the update would actually be available today, but questioned that after noticing that VZW had taken down the 2.3 update page. Well, now that these documents are back with an updated build number, we wouldn’t be surprised if the update did indeed start tonight. Talk about working fast, right? They just announced yesterday that the update would be available in September. 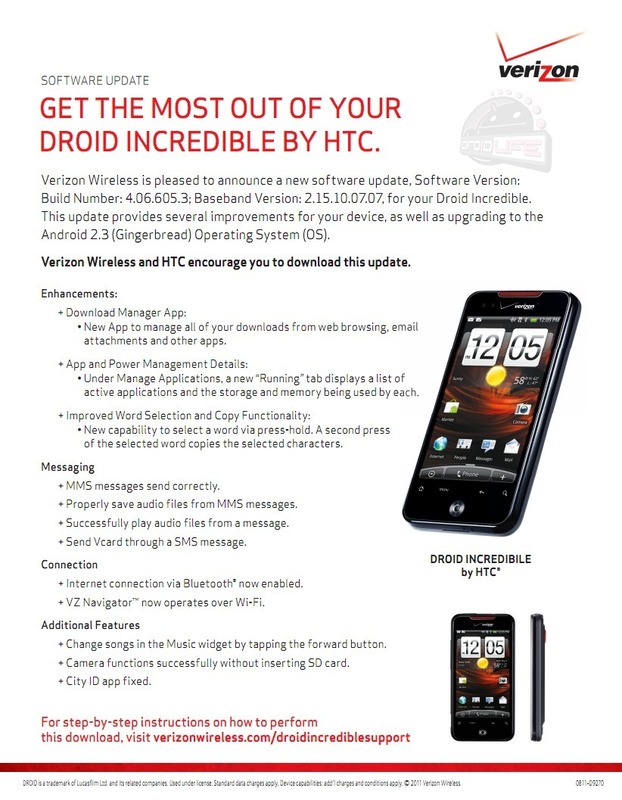 HTC wasn’t messing around.